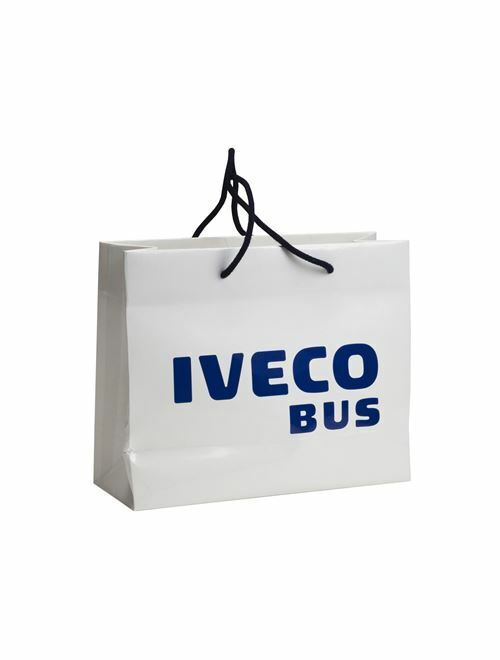 Glossy laminated paper bag with contrasted cotton handles. Iveco Bus logo printed on both sides. 210g/mq. Dimensions (h/w/d): 32 x 26 x 12 cm.